Gillian Heltai, comScore’s senior director, presented new search data showing that while local search is still growing, its trajectory is slowing down. She broke search into online and mobile. Year over year, online search grew 9 percent online to 19.3 billion searches in Sepatember 2011. Of these searches, 2.8 billion are local. 10 percent of U.S. online display ads are locally targeted. IYP/local searches declined 20 percent while local Web searches increased 9 percent. Only 3 percent to 4 percent of searches are paid clicks; the rest are organic searches. Heltai said there’s a perfect storm for local based services in mobile media of search, GPS-capable devices and smartphone penetration. Seventy-five percent of mobile subscribers have a GPS-capable device, an annual increase of 11 percent. More people are doing more mobile searches. Mobile search grew 26 percent with 39 percent doing at least one mobile search per month. Overall, 88 million mobile subscribers accessed local content on mobile device in September 2011, up 28 percent. More than 88 million (up from 69 million) accessed local content. Forty percent of all mobile users access local content; 75 percent of smartphone users do. As smartphone/GPS-cable devices increase their penetration,the growth of local mobile search will stimulate mobile advertising growth. One-third of mobile media users recalled seeing ad. 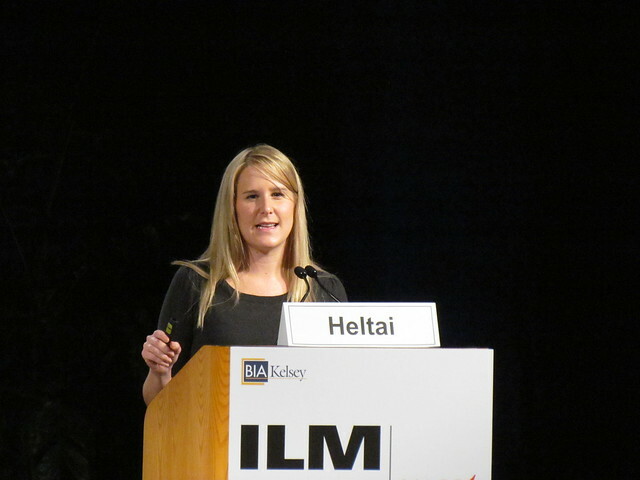 Heltai concluded by observing that while consumers clearly are moving into mobile search in a big way, small and medium businesses are becoming overwhelmed by their range of advertising choices. They need to understand not just that mobile search is where their consumers are; they also need to be shown how to engage with their consumers on this high-growth platform.